There's a pawnshop (someone lives in the basement and is seen only at night). There's a diner (people who are just passing through tend not to linger). And there's new resident Manfred Bernardo, who thinks he's found the perfect place to work in private (and who has secrets of his own). 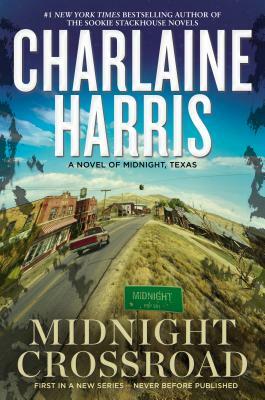 Charlaine Harris is a New York Times bestselling author for both her Sookie Stackhouse fantasy/mystery series and her Harper Connelly Prime Crime mystery series. She has lived in the South her entire life. Her Sookie Stackhouse novels include: Dead Until Dark, Living Dead in Dallas, Club Dead, Dead to the World, Dead as a Doornail, Definitely Dead, All Together Dead, From Dead to Worse, Dead and Gone, Dead in the Family, Dead Reckoning, Deadlocked, and Dead Ever After.